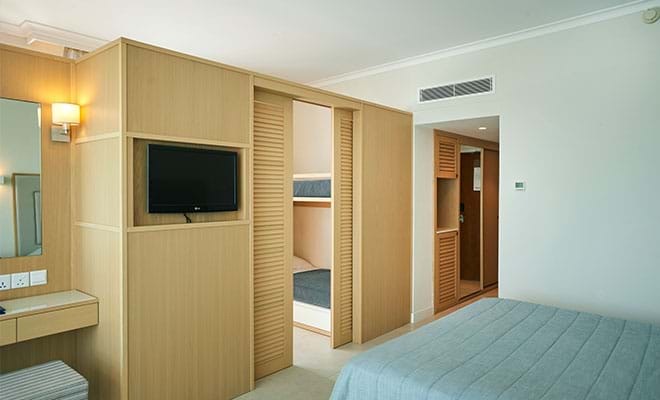 The family rooms offer ample space for a family of up to four persons with bunk beds for the young ones separated from the parents with sliding doors. The rooms are elegantly designed featuring furniture made from natural light oak wood and complimented with soft textured fabrics. 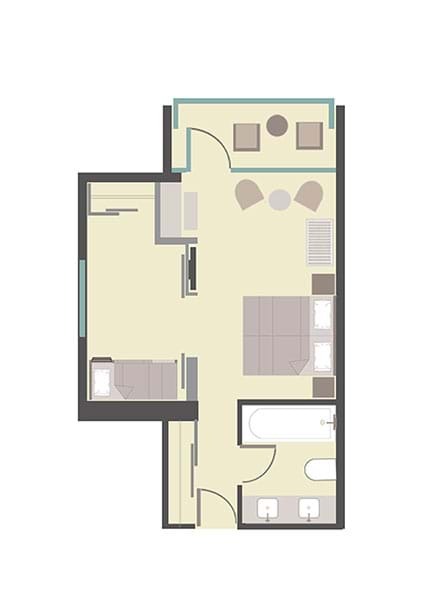 The family rooms are generously equipped and offer such benefits as Tea & Coffee making facilities and complimentary Wi-Fi access. 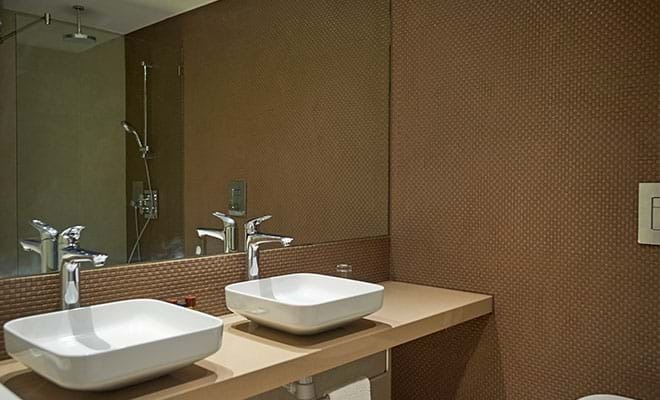 The luxurious bathroom features two elegant washbasins, rain shower system and complimentary toiletries.